One of the Lesser Sabbats of the year, Yule, is celebrated on or around December 21st in observance of the rebirth of the Sun God, born annually from the Goddess. 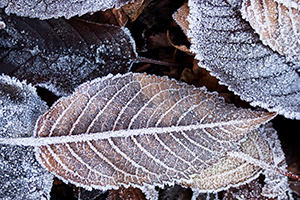 It is no coincidence that Yule falls on the Winter Solstice, the longest night of the year. Following the Solstice, days grow longer and the Sun remains in sight for a longer period of time daily until the Summer Solstice in June, signifying the growth of the Sun God after His rebirth. In Pagan Tradition, the Sun represents the Male Divinity who the Goddess had given birth to at the dawn of time. Every year, He is reborn from the Goddess to assist humanity with the Harvest and our Health. In Wicca today, the Great Horned Hunter is viewed as the renewal of the Solstice Sun, rather than the Sun King. There are many different manners in which to rejoice at this celebration, with many of them being very similar to the ancient Rites of the Pagan Germanic People. In myth, it is on Yule that another significant event transpires: the Oak King battles with the Holly King. On the Winter Solstice, the Oak King emerges victorious as the Wheel of the Year turns in his favor, while on the Summer Solstice, the Holly King wins the epic battle, and the seasons work in His favor. This battle is still reenacted today in certain parts of Europe and Asia. Yule was also established as the date of birth of Mithra, the Divine offspring of the Sun King. Aside from the above, there are many traditions performed on Yule, stemming from ancient Pagan Rituals. 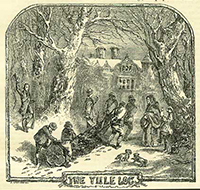 Some of these include erecting a Yule tree to represent the Phallus and the fertility it creates, as well as carrying a Yule log to a balefire, and carefully placing its end in the fire, and inching the log in until it is fully burnt. This Ritual is said to protect the home from fire and lightning, as well as to support the Sun King on His annual journey. Originally, Yule was celebrated by Pagan Scandinavian and German society in the time period we now know as B.C. Around the 4th Century A.D., many of the traditions and beliefs of Yule were overtaken by the Christian Church as they viewed the Pagan Belief System as an enemy, and in direct opposition to Christianity. Though the following treads into very controversial territory, it is important to include this crusade in the description of the history of Yule. In original texts, it had been documented that Jesus Christ was born on the 14th of May in 6 B.C. About three hundred years after his Crucifixion, the Church began to grow significantly, and to increase their growth, it was necessary to counteract some of the opposing points of view, including Paganism. Around this time, the Church reestablished Christ’s birthday as the 25th of December, to neutralize the celebration of Mithra’s birth with that of Christ, and overlap the twelve days of Yule with Christmas. Additionally, many of the traditions of the Pagan Yule were absorbed by the Church, such as the erection of the Yule Tree. This information is not meant to divert individuals from the beliefs of Christianity, but rather to inform of how many of these traditions were initially performed at Yule, and now are performed during Christmas – and even why you may sing a Yuletide Carol on Christmas. iwas born january 5th at 9:35 pm, the beginning of the 12th day of christmas or epiphany. coincidence? Thank you for the opportunity to learn things I didn't know. I found this article so very interesting and informative. Thank you for posting this.